Jeep Super Wagoneer: The first to bring capability and "Luxury" together in a Sport-Utility vehicle. Very rare JEEP SUPER WAGONEER -- The world's first luxury SUV! It's all in the name... 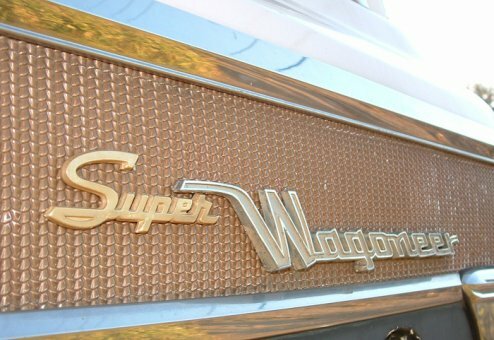 This Jeep Super Wagoneer is simply super. Great heritage, low actual miles and original unmodified condition. Extremely rare, classic Jeep of historical significance. If you are specifically looking for Jeep SUPER WAGONEER, this could very well be the right Jeep for you. 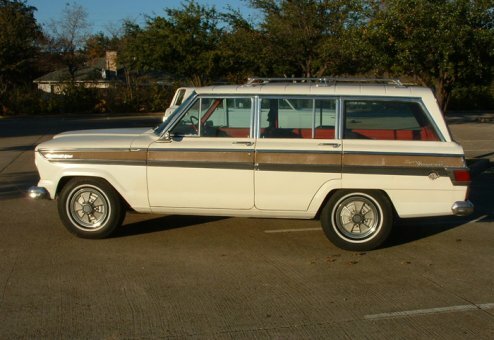 Jeep Super Wagoneers rarely become available for purchase, particularly of this quality, mileage and history. • NEW headliner & visor covers! 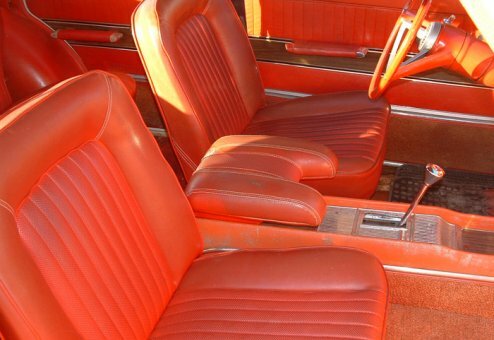 • All original, except vinyl roof from factory was removed years ago by original owner (we can replace with new vinyl of like-original look & feel). • Drives very well, engine is strong and transmission smooth - mechanically sound with the following recent work: All new exhaust from manifolds back, new coil and wires, new belts and hoses, new battery, and all fluids drained and replaced. • For complete restoration, would recommend professional re-paint, including the antiqued gold trim panels along the sides and rear (please note, overall existing paint is in nice, clean condition with normal blemishes, etc). • Never damaged or wrecked. This Jeep is documented from purchase, including detailed history, records, original window sticker, owner's manual and dealer's brochure. It was first purchased in Oregon, and spent most of it's life in California. The Jeep is an unrestored gem that can be sold as is or can be fully restored to showroom condition. 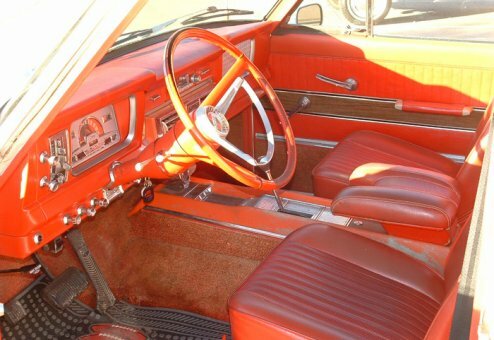 • Unique vehicle with complete history and documentation (including original 1968 window sticker, owner's manual, dealer's brochure and service records. • Jeep stayed in the same family from purchase up until 2001. One owner since then.